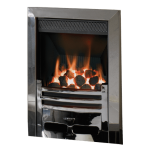 Whether you want to achieve an up-to-the-minute, contemporary look or have your heart set on a more traditionally-designed fire, you will find a choice of highly-realistic flame effects and elegant frame options to suit your decorative style and budget. 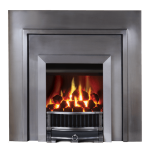 Suitable for all chimney types, the Logic™ Hotbox is an open-fronted inset gas fire that provides a warm focal point without the additional heat emitted by the Logic™ Convector or Logic™ He. 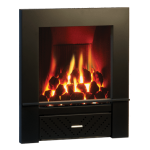 This fire offers you the options of either coal or fuel beds (1) and the choice of a manual or remote control version. 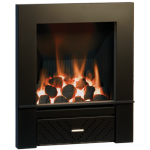 The Logic™ Convector is an efficient open inset gas fire suitable for all chimney types. 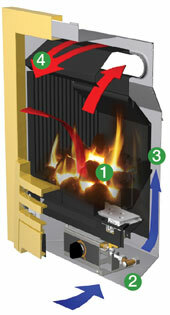 It incorporates a convection system that provides additional heat and efficiency to that of the Hotbox. 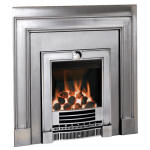 Available with coal or fuel beds (1) and the option of either manual or remote control versions. * Balanced flue models only. 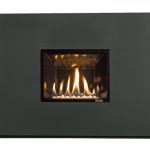 For those who want to make a real style statement, there is the option to upgrade the White Stone fuel bed on your fire to a choice of three stunning glass bead packs including cool clear, bold black and a radiant red**! 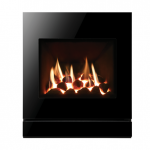 ** Please note that the red glass beads will darken when burning and then return to their original colour when cool. 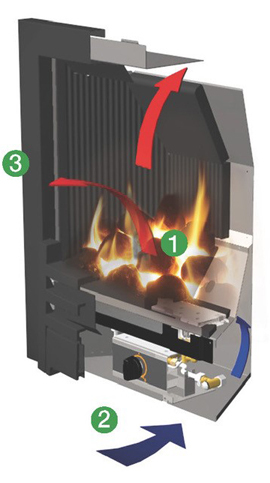 Gazco’s new innovative slide system has a subtly designed, ergonomic lever that is situated to the top right hand side of the fire’s frame for easy access. 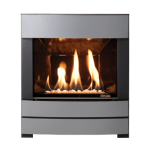 the new slide offers complete and convenient control over the fire, including ignition and extinguish along with flame height and corresponding heat levels, allowing you to achieve the warmth and ambiance you desire with minimal bending. 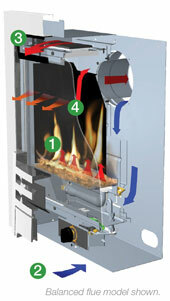 Slide Control Logic fires are available with a specific selection of frame styling options, please see table below for details. 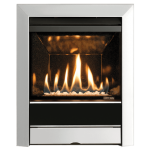 Logic HE remote control fires offer complete convenience, allowing you to control flame height and heat output from the comfort of your sofa with Gazco’s standard remote control. 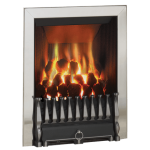 For ultimate ease, you can choose the optional upgradeable Programmable Thermostatic handset, which lets you thermostatically control the room temperature as well as scheduling your fire to switch itself on and off twice a day, once the pilot has been ignited. 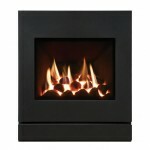 *With the exception of the Logic HE Log-effect which is only available with Slide Control and Remote Control options.